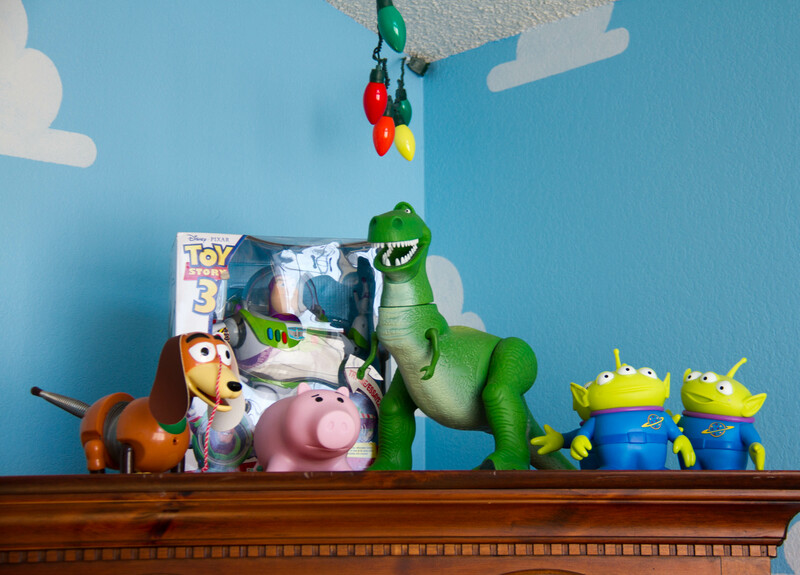 We get several questions about our painted clouds on the walls of our ToyStoryRoom. 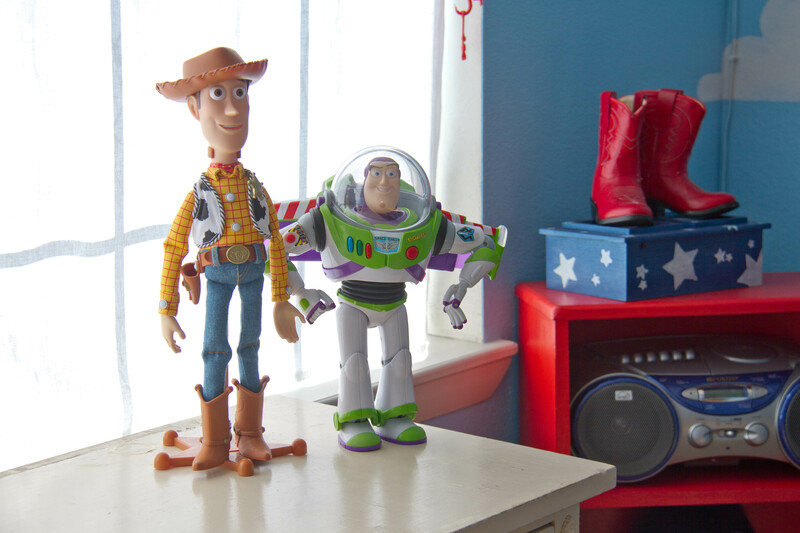 This blog will show you how to make Pixar perfect Toy Story Clouds of your own. 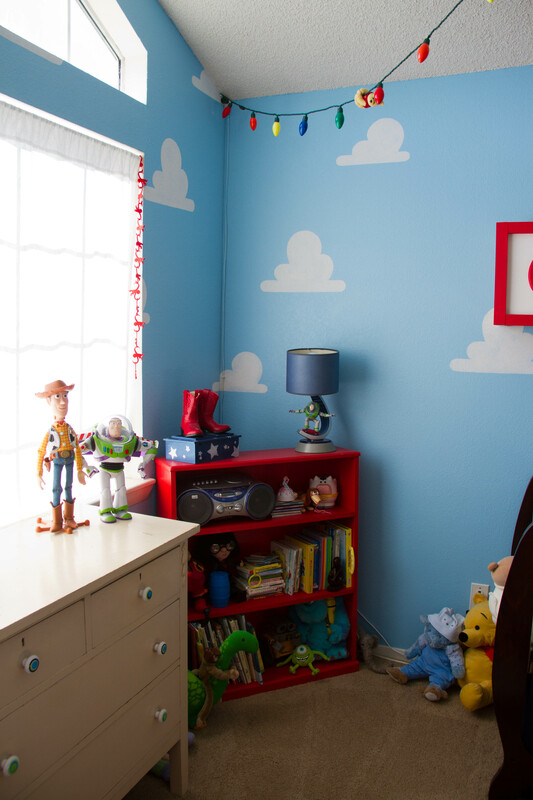 Our Toy Story Cloud stencils are now available on Amazon. 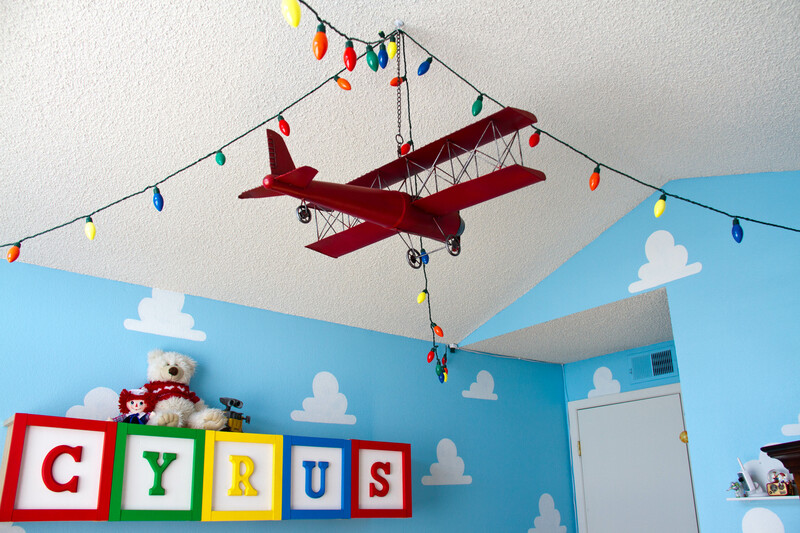 The blue paint color is Benjamin Moore “Grandma’s Sweater” #787, carefully selected after much scrutiny to be the perfect Toy Story blue. We actually had it matched at our local paint shop to be zero VOC which is much healthier for babies. 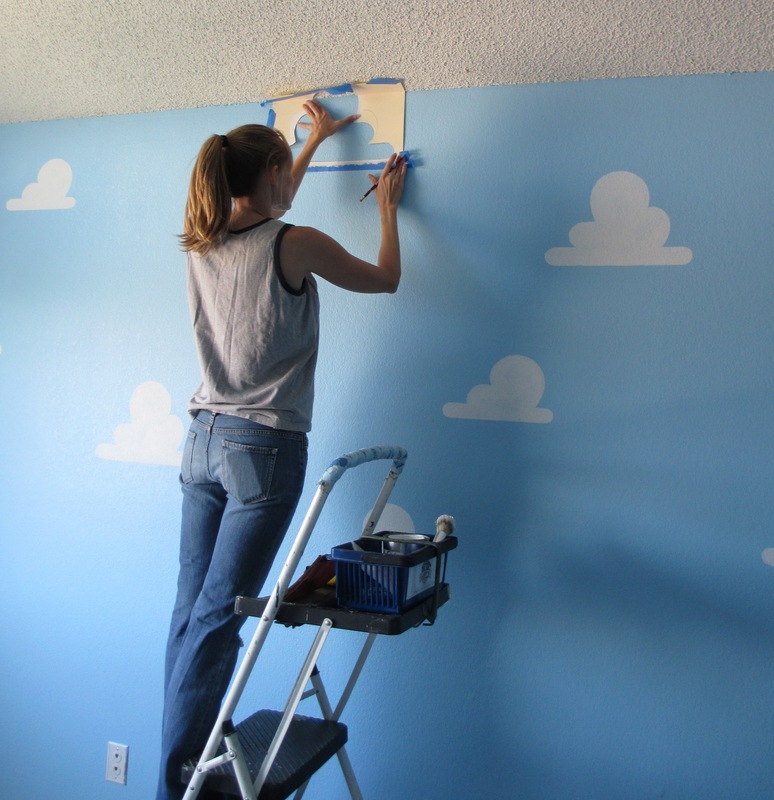 The blue was done in an eggshell finish and the white clouds were done in a flat paint so they would look puffier. 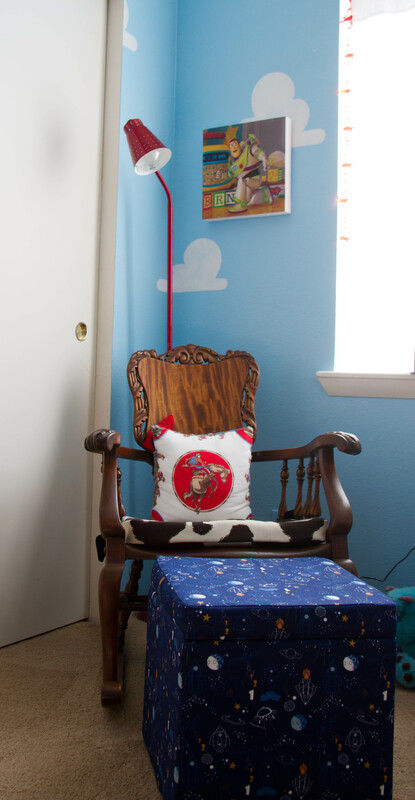 We looked in Toy Story art books to get the shape and pattern of the clouds right. There is a big cloud and a little cloud and they are in a diagonal pattern. We drew the clouds by hand on large pieces of paper and then made stencils out of a large rigid plastic sheet made for stenciling. 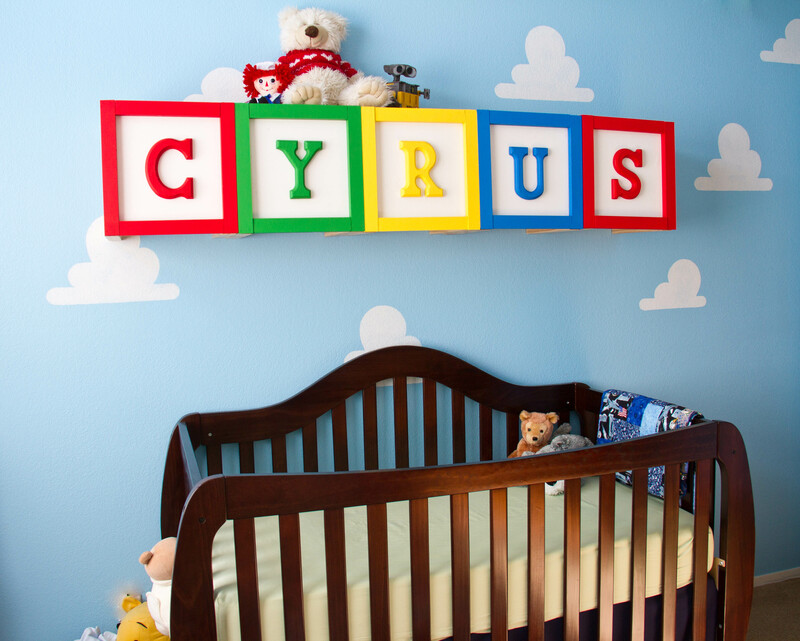 (You can purchase our cloud stencils here.) We also used file folders to make a few extra stencils that could be bent for corners and ceilings. Figuring out the placement of each cloud was actually quite challenging. 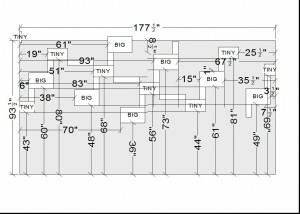 Whatever you do, figure this out before you start painting. The large cloud stencils we made were approximately 17” w X 11” h. And the small cloud stencils were 14”w X 8”h. 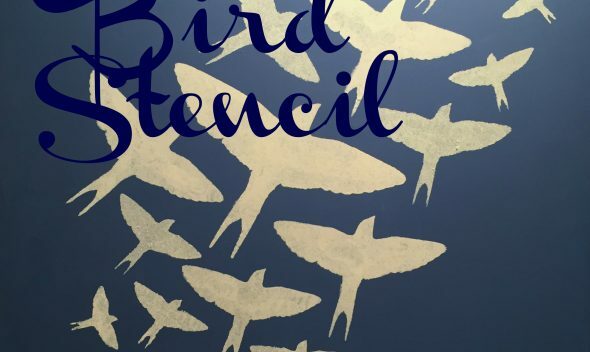 Our stencils are available here. The spacing of them depends on the size of your room. We were dealing with a fairly large room so we could space them further apart, but if your room is smaller you may want to put them closer together. 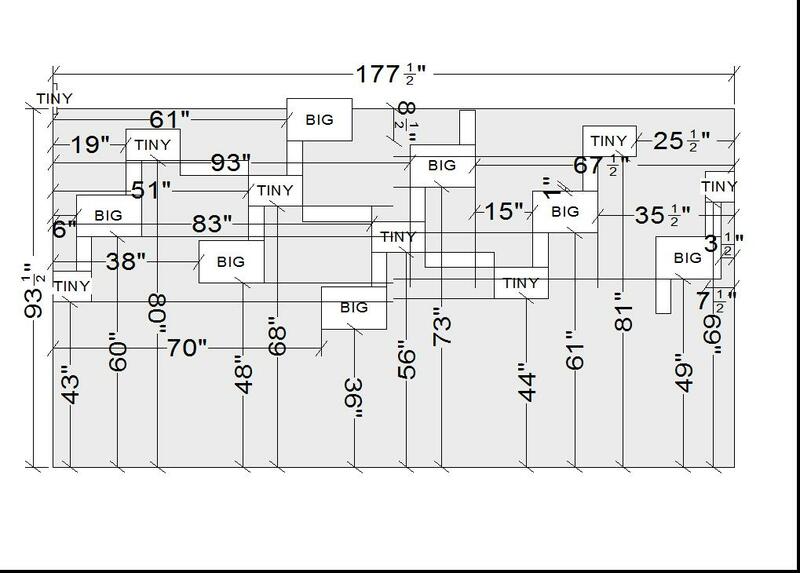 This diagram is an example of how we spaced them. Starting at the doorway is a good place to begin because your pattern might not match up exactly when you circle around and get back to the doorway. But the door offers a nice natural break in the pattern. 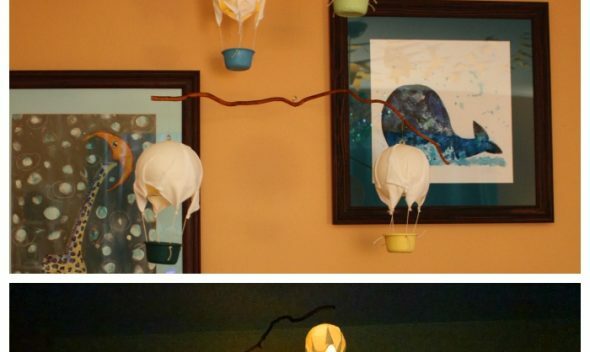 There is no need to paint clouds on the bottom third of the room because the furniture will cover up most of that anyway. 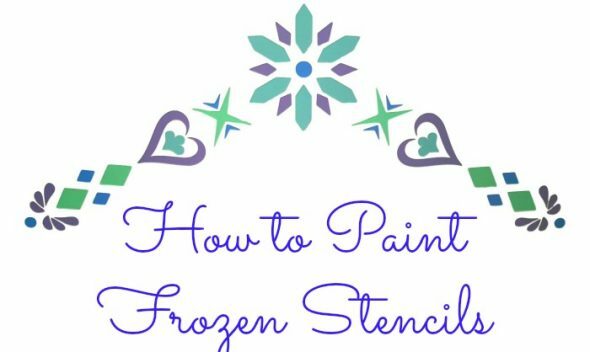 After painting the walls blue and letting that dry, you can begin the stenciling. This is a two person job. We followed our diagram to measure the distance from the floor and corner for each stencil. We marked the corner position of the stencil with a pencil, and used painter’s tape to tape the stencil in position. We used a stipple brush to paint the clouds white. We had one person placing the stencil in position and one person painting so we could move faster. After a very long day and some perseverance, we were able to finish and appreciate our work. 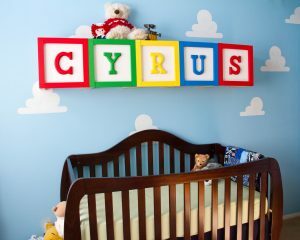 And months later when baby Cyrus showed up to admire our room, the look on his little face was all worth it. 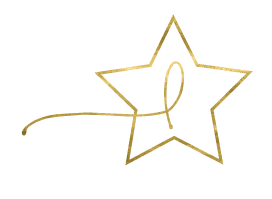 See our Behind the Scenes blog here. 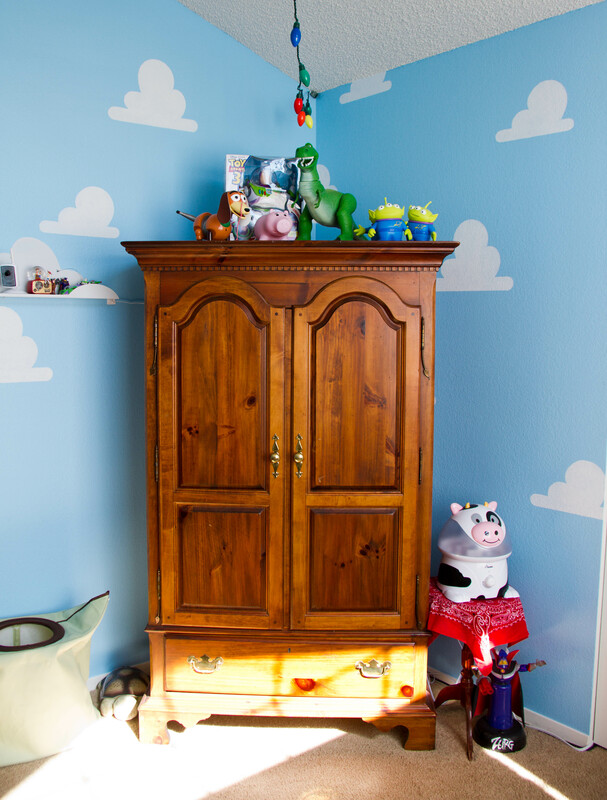 Cloud stencils are available here. Or on Amazon here. 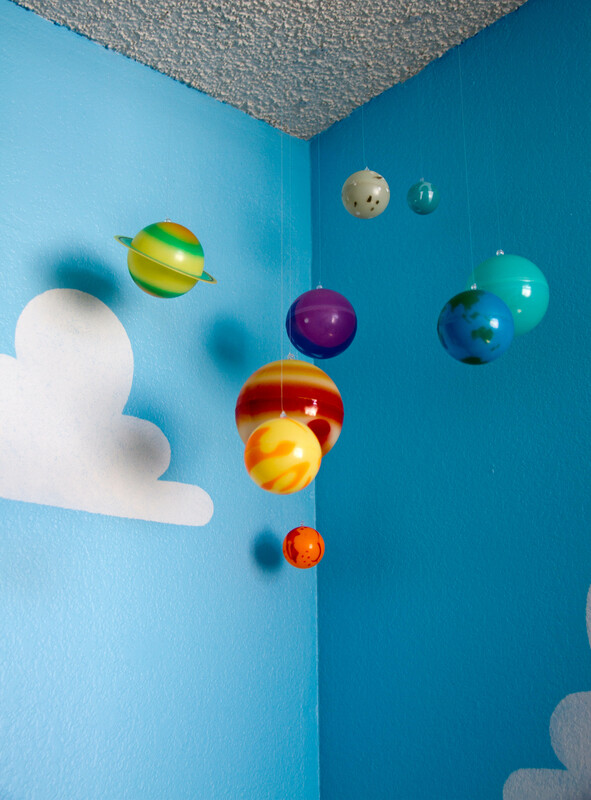 Want more fun tips for nurseries and kid’s rooms? 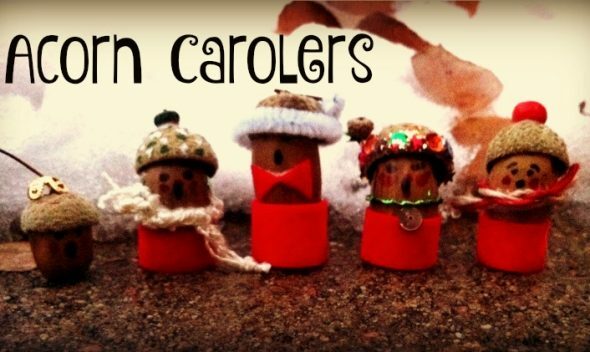 Sign-up for email updates and find us on social media! Spread the magic! 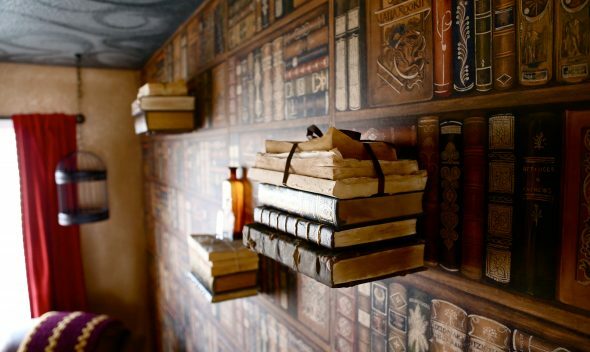 This incredibly magical Harry Potter Nursery was designed by our amazingly creative friend Jennifer Ewing. 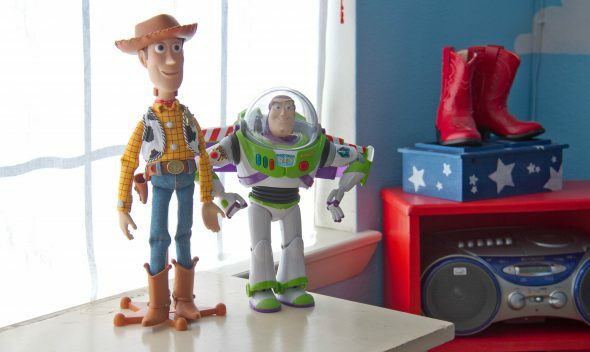 Love your toy story room, my boy is buzz and woody mad so looking to replicate something similar. 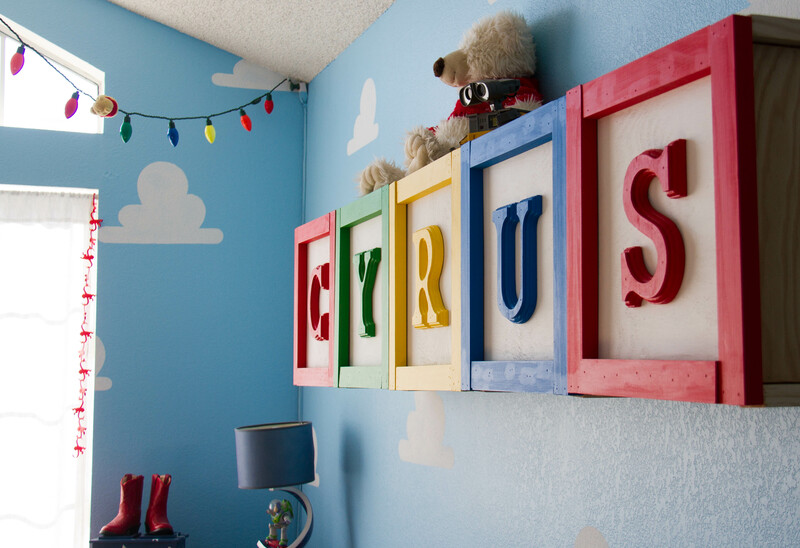 How did you go about creating the Cyrus name in building blocks on the wall? Looks fantastic! !